IOS would like to remind you of a long-standing policy regarding conferences and related events supported by the Biological Sciences directorate (BIO). 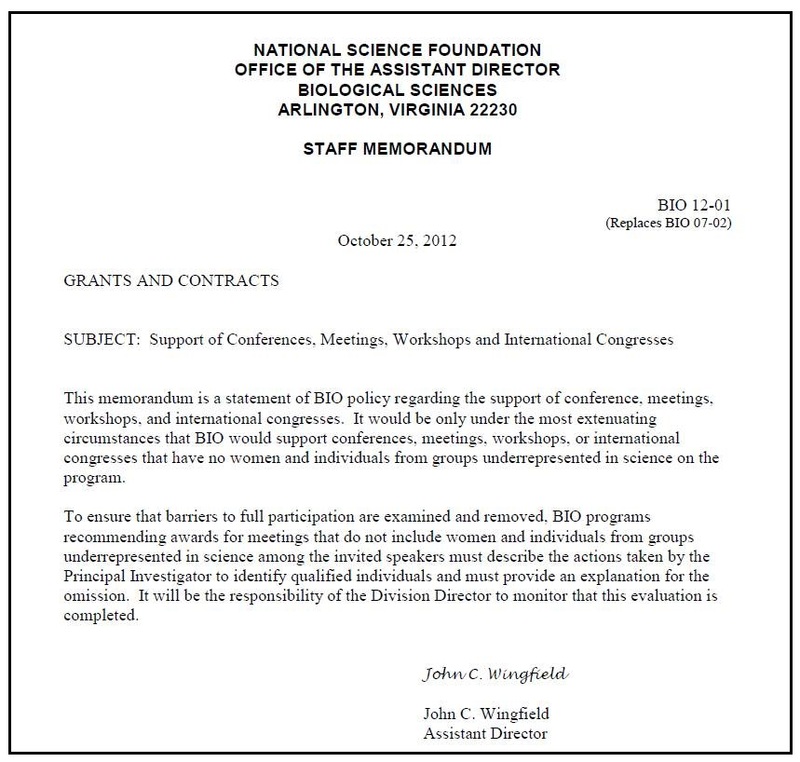 This policy was implemented to assist in broadening the participation of women and members of underrepresented groups in meetings that BIO supports. Read below for more information. If you have questions regarding this policy, please contact your program officer.